Final C-27J Delivered to Royal Australian Air Force. The Royal Australian Air Force has received its tenth and last tactical transport Alenia C-27J Spartan. "The Spartan provides flexibility to defense operations, allowing us to land at aerodromes that are smaller or unsuitable for our much larger transport aircraft like the Lockheed Martin C-130J Hercules and the Boeing C-17A Globemaster, "says defense minister Marise Payne. "The Spartan can transport up to five tons of cargo and is capable of moving troops, equipment and supplies, carrying out aeromedical evacuation missions and making air falls." The aircraft operates with the No. 35 squadron at RAAF Richmond. The squadron will move to RAAF Amberley in early 2019. She adds that Northrop Grumman Australia will provide life support for the fleet. The aircraft received its initial operational capacity at the end of 2016 and should receive its final operational capacity by the end of 2019. 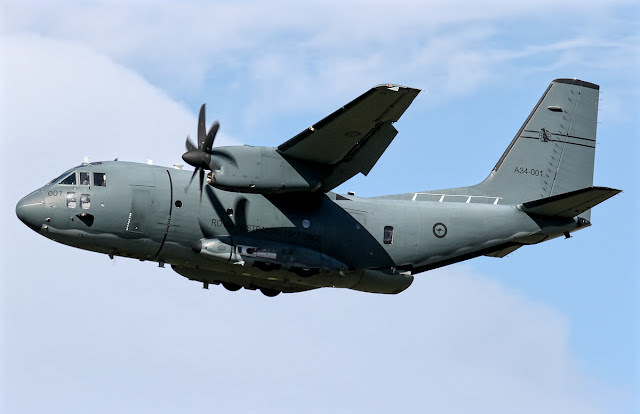 In May 2012, Australia placed an order for ten C-27Js through the Foreign Military Sales (FMS) program.